slide yoke (4) into yoke (1). Put plates (7) in place. Install rear-rear axle shafts (TM 9-2320-269-20-1). Service rear-rear axle differential (LO 9-2320-269-12). 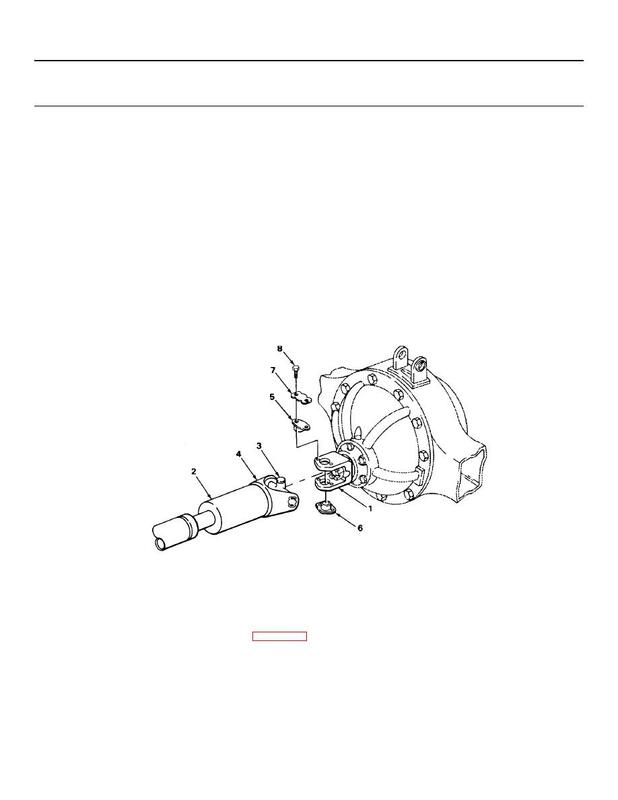 Install tandem axle assembly (page 2-834).